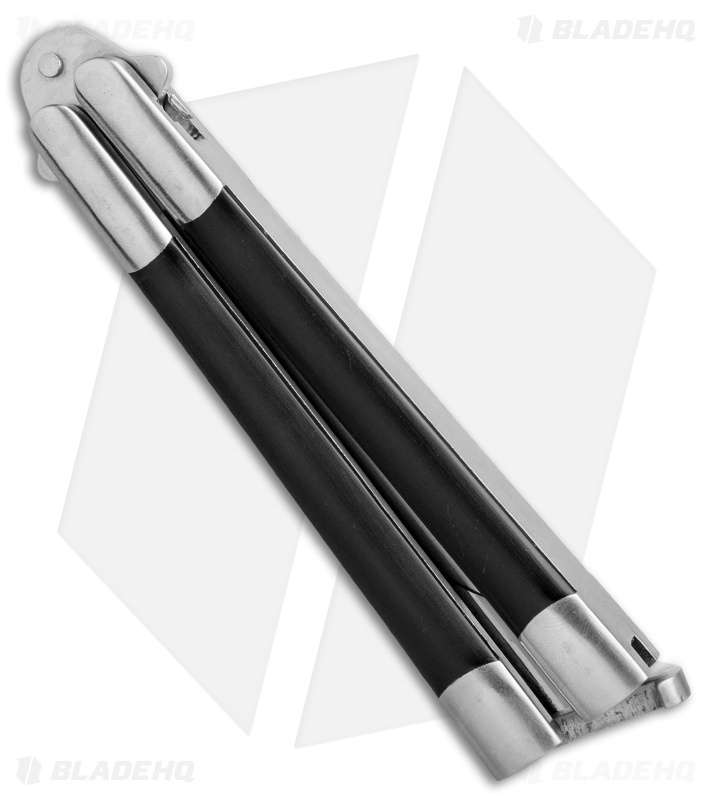 We recently acquired this vintage custom Herbertz Balisong from a collection. It is in good condition but does show signs of wear from being used or flipped. Pictured above is the actual knife for sell. 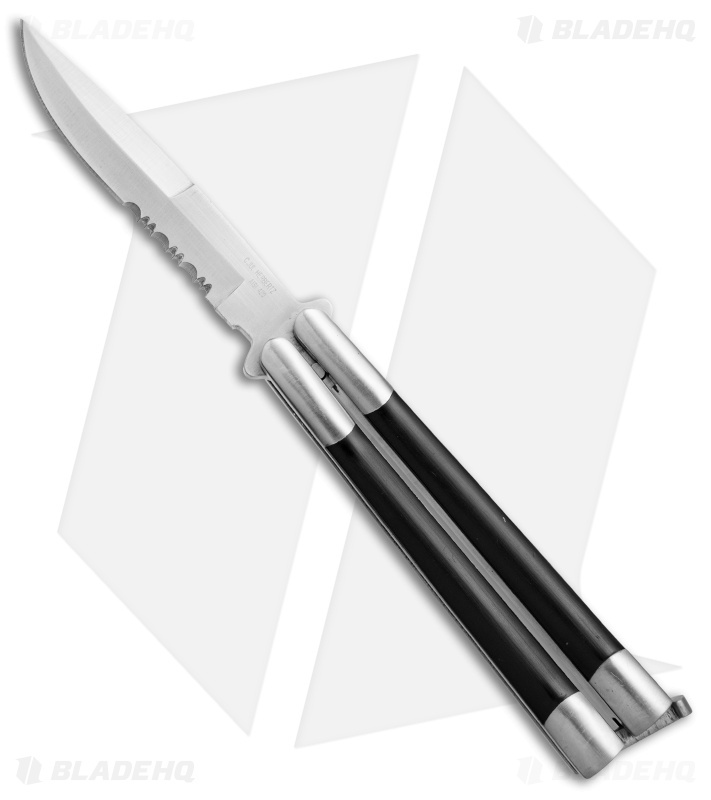 This vintage Herbertz Balisong sports a classic design with black G-10 inlays, hidden pivots and a partially serrated clip point blade. Item includes a snug fitting T-latch and a black nylon sheath. This custom Herbertz design will make a great addition to any balisong collection.